Who says ski pants can't look great? Fire + Ice has created a sleek, casual pant with waterproof-breathable performance in the Hakon Ski Pant. This pant's clean lines and Sports Denim fabric create a clean look that feels good on the slopes or in the village. 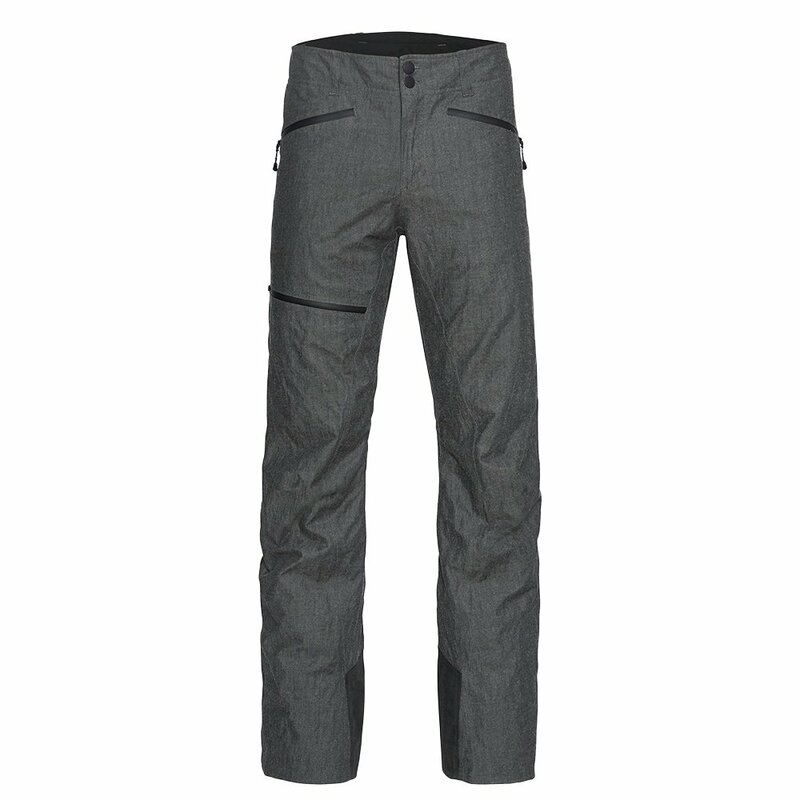 For the former, the pant delivers 5K/5K waterproof-breathable protection sealed at the cuffs with snow gaiters. The high-rise back increases the coverage area, and 45g insulation keeps things warm inside. Other features include taped seams, scuff guards and built-in ventilation.